Huawei launched its new 2016 latest smartphone with extraordinary features like full Android Experience for handset users with complete sensors. Huawei Mate 8 recently launched in china only now it will we available globally for everyone. 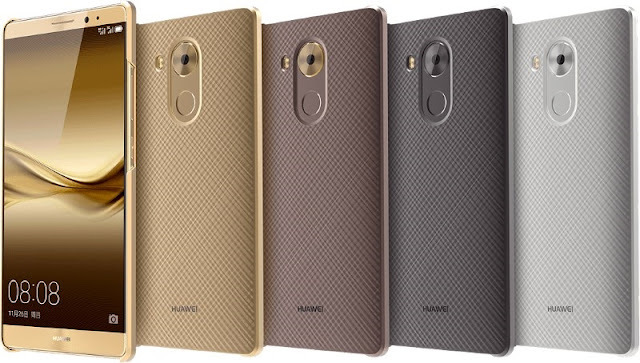 Huawei Mate 8 full metal body is a big body smartphone but not slim handset, providing the symmetrical design and slightly curved rear mean it feels much slimmer in the hand. Mate 8 has 6-inch display but its maker design this device in this way the phone feels much smaller than you’d think. Huawei mate 8 equipped with 4 GB RAM and the great HiSilicon Kirin 950 chipset with 2 quad-core processors running parallel to provide extreme performance. It has 16 Mega-Pixel rear camera with f/2.0 aperture for better low light images, Optical Image Stabilization for less noisy photos and 0.1 second phase detection auto-focus and front camera is 8 Mega-Pixel f/2.4 sensor size.